Annette Theroux, Pro-West and Associates, Inc., is a leader in providing service to the GIS/LIS Consortium and to state and local agencies. She has been a workshop instructor, a paper presenter, an exhibitor, a member of the Consortium Board, and now serves as chair elect. Last year, when the Consortium faced a financial crisis, she and her co-workers helped raise the money that allowed us to bridge the gap to a successful 2004 Conference by presenting a well-attended workshop at Cabela’s in Owatonna. 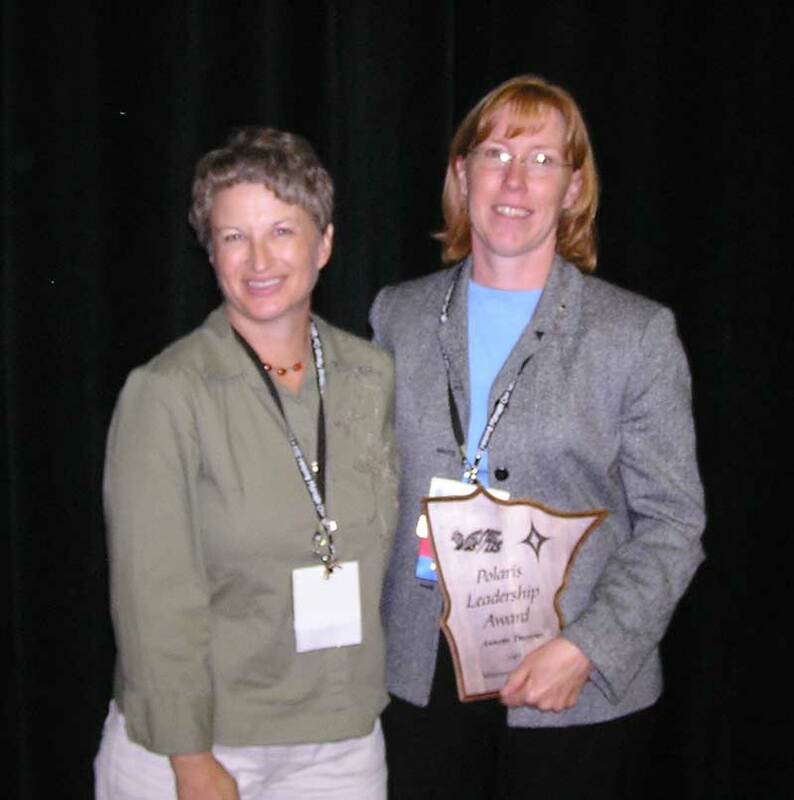 Her work on the 2003 State Parcel Map Inventory set the standard for monitoring local government activities and won the 2004 CTS Research Partnership Award from the University of Minnesota’s Center for Transportation Studies. While serving on the Governor’s Council on Geographic Information, she co-chaired the Data Committee and helped develop the popular data distribution guide, Making the Most of Geospatial Data Exchange. She has served on the Board of Directors for the Pine to Prairie GIS Users Group and continues to volunteer her services as a member. 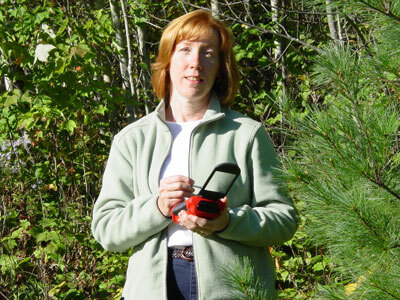 Annette has taught as an adjunct professor of GIS at Bemidji State University and is well known as a GIS educator in Minnesota. Annette Theroux (right) receiving her award with nominator Terese Rowekamp.